Explore, visit the campsite La bastiane as if you were there! Panoramic views & virtual reality. An idyllic setting for authentic holidays! You know the campsite and want to book a particular location ?? This is possible by choosing the Preferred Location option at € 30. It is the guarantee of staying on the plot that you have selected according to your own criteria! 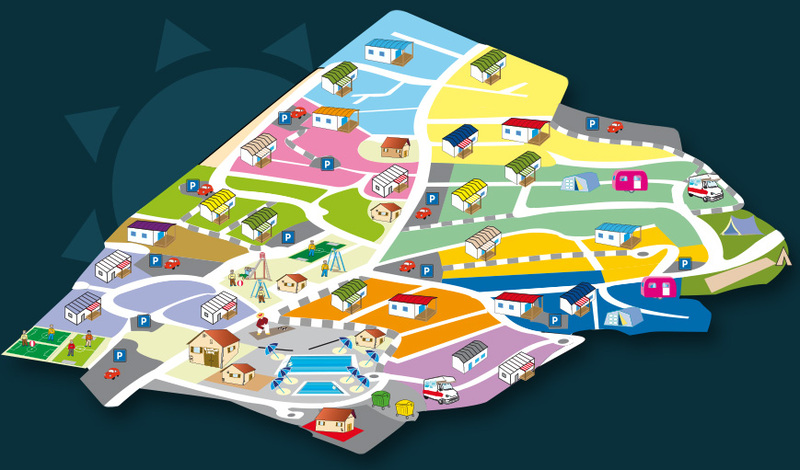 →Have a look at our camping map & Ask for a preferential place ! For more pictures & videos of the campsite, look at our Gallery ! At a glance, view camping 5 * La bastiae with its aquatic space, children's games, reception and bar, tennis courts, mobile homes and tent and caravan pitches. A playful aspect, this plan allows you to quickly get an idea of the spirit of the campsite. For 45 years, we have been working to ensure that your holiday in a Var campsite, in mobile home, chalets, bungalow or caravan is up to your expectations.